The first civilian and woman to earn the Distinguished Service Cross, Virginia Hall proved to be one of the most important women in World War 2. Slender, five feet, seven inches tall, and with a warm smile that belied toughness and leadership ability, Virginia “Dindy” Hall of Baltimore had a wooden leg and a price on her head. One of the most important women in World War 2, she was also the bravest and most able Allied secret agents: she twice entered Nazi-occupied France to organize, train, and supply resistance groups while simultaneously managing an “underground railroad” to assist the escape of downed Allied fliers to neutral or friendly countries. She became a legend in the British Special Operations Executive and the U.S. Office of Strategic Services, was on the Gestapo’s wanted list, and was decorated by King George VI and President Harry S. Truman. She was both the first woman and civilian to be awarded the Distinguished Service Cross. “Her courage knew no bounds,” said William T. Hornaday II, an OSS colleague. 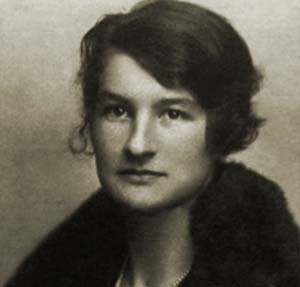 Inheriting a yearning for travel and adventure from her grandfather and shunning the Baltimore social whirl for diplomatic service abroad, Virginia Hall was working as a code clerk at the U.S. Embassy in Grosvenor Square, London, in late 1940 when she was recruited by the SOE. After training in weaponry, communications, and security, she went to work in Vichy France with famed Captain Maurice Buckmaster’s F (French) Section of the SOE. Her cover was that of a stringer for the New York Post. Starting in August 1941, she became the first woman in the SOE to establish resistance networks out of Vichy. Codenamed Diane, she set up many valuable contacts in France and earned the highest respect of her comrades in the Maquis. They called her “La Dame Qui Boite” (the Limping Lady). When German troops started pouring into Vichy in November 1941, Hall was ordered to leave France. She made her way across the snow-clad Pyrenees to neutral Spain and was jailed in the border town of San Juan de las Abadesas because she did not have entry papers. She smuggled out a letter to the American consul in Barcelona by way of a friendly Spanish prostitute. Released within six weeks from the notorious Figueras Prison, Hall reported to her SOE contacts in Madrid. With new cover as a correspondent for the Chicago Times, she scouted safe houses and agents and acted as a courier for the SOE network. But she did not think she was being effectively employed, so she requested a transfer back to F Section. Returning to England in November 1943, Hall trained as a radio operator and was transferred to the OSS. She was one of 4,000 women who made up one-fifth of the OSS staff during World War II. They worked all over the world—from London to Ceylon, from New Delhi to Kunming—as spies, saboteurs, cryptographers, cartographers, analysts, propagandists, forgers, parachute packers, communications specialists, clerks, drivers, and secretaries. In March 1944, Hall went back to France as radio operator for the Heckler agent network. Crossing the English Channel in a Royal Navy motor torpedo boat, she went ashore by dinghy on the Cotentin Peninsula. She could not parachute in because of her wooden leg, which she had wryly christened Cuthbert. In early May 1944, she moved to the Nievre region, where she lived and worked in the attic at the home of Colonel Fernand Vessereaux, head of the local gendarmerie. Increasing Gestapo activity forced her to find a new hiding place—in a garret at the home of 84-year-old Jules Juttry and his daughter-in-law, Estelle. Here, Hall found herself tending a herd of goats, which she led along the village roads while observing German troop movements. Stooped, with a faded kerchief tied around her dyed gray hair, and leaning on a shepherd’s staff, she raised no suspicions among the enemy. Hall delivered goat’s milk as a cover while contacting resistance comrades and then sent radio messages to London from the farmhouse attic. When contact was made and an airdrop arranged, she drove a donkey cart out to help the resisters recover supplies and parachutes. Virginia’s next hideout was a farmhouse at nearby Surry-en-Bois, where she arranged two drops of weapons and supplies for the resistance group in Cher Nord. During her stay in the Nievre region, she organized 15 supply drops for the Maquis. Early in July, shortly after British, American, and Canadian armies had landed in Normandy, Hall was ordered back to the Haute-Loire region. Her mission was to establish a resistance group and maintain radio contact with London. She set up her operations in the village of Chambon-sur-Lignon, a Huguenot community that was the center of resistance in Haute-Loire during the German occupation. Farmer Leah Lebret, whose husband was a prisoner of war, sheltered Hall until she found an unused house and barn owned by the Salvation Army. The intrepid agent secreted her radio equipment in the barn, and worked alone organizing reception committees for incoming agents, arranging the distribution of supplies and money, and setting up resistance groups. Virginia’s efforts were supported by 30 men of the Maquis led by Lieutenant Raoul le Boulicard, codenamed Bob, and one of her most trusted comrades. The group helped her to mark drop zones, retrieved materiel that often went astray, and maintained her radio and batteries. After the Allied landings, resistance activity increased all over France. Meanwhile, Gestapo agents intensified their hunt for the Limping Lady and her transmitter, but she continued to elude them. She kept in regular touch with London, and between July 14 and August 14 transmitted 37 intelligence messages on enemy troop movements. She was the first agent to report that the German General Staff was moving its headquarters from Lyons to the city of Le Puy in the Haute-Loire region. In August 1944, shortly after the Allied invasion of southern France, Hall’s tenuous position was strengthened with the arrival from North Africa of a three-man team comprising American and French officers and a U.S. Army radioman. The group was part of the secret SOE-OSS Jedburgh operation. Hall received local currency, gold pieces, and longer antennae so that she could transmit clearer and stronger signals. Aided by the Jedburghs, the Baltimore woman organized and trained three battalions of the French Forces of the Interior (FFI) for guerrilla warfare and sabotage operations against the retreating Nazis. She and her comrades provided daily intelligence on local conditions for the Allied armies, harassed the enemy, and destroyed lines of communication. Although the physically handicapped Virginia was not formally trained for guerrilla warfare, her planning and organizational skills were vital to the operations. She reported to headquarters that four bridges had been blown up, freight trains derailed, a key rail line cut in several places, and telephone lines torn down. Retreating German convoys were held up by the blown bridges. The FFI seized 19 members of the militia, which had collaborated with the occupiers, and killed 150 Germans and captured 500 in skirmishes. The Limping Lady was sent next to the commune of Bourg in eastern France, where she and a small FFI group from Haute-Loire linked up with the French First Army led by General Jean de Lattre de Tassigny. Among the OSS agents there was Virginia’s future husband, Lieutenant Paul Gaston Goillot, a good-natured Paris-born New Yorker and a skilled chef. Hall turned over her unit’s weapons and ordnance to the French 9th Colonial Division in Bourg, and then she and Goillot headed for a well-deserved leave in Paris. Virginia was in the multitude that cheered General Charles de Gaulle, leader of the Free French Forces, when he strode in the victory parade down the Champs d’Elysees on August 26, 1944. She returned to London that September. Hall’s last OSS assignment was in Innsbruck, Austria, where General Donovan’s agency sought to infiltrate diehard Nazi resistance groups. Her code name became Camille, and her cover was that of “Anna Muller,” a German citizen born in Turkey. Goillot was a member of her team. The operation, mounted from Caserta, Italy, was called off when the German forces collapsed. The pair then returned to Paris. In the capital, Hall located former comrades, collected radio transmitting material still in the field, and organized the seizure of a Gestapo agent, the Abbe Alesh, who had masqueraded as a member of the SOE and been responsible for the deaths of four agents in Hall’s clandestine network. The indefatigable Limping Lady continued her intelligence work after the war ended. She served as a contract field representative in Europe for the newly-formed Central Intelligence Group, which became the Central Intelligence Agency in 1947. Late in 1948, she returned to New York City to be near her fiancé. She joined the National Committee for Free Europe, a CIA front and adjunct to Radio Free Europe. Virginia interviewed refugees from the Balkans and the Baltic region, and prepared propaganda for anti-Communist resistance groups there. She died in 1982 at a Rockville, Maryland, hospital and was buried at Druid Ridge Cemetery in Pikesville, Maryland. Her husband, who suffered a severe stroke that changed his personality, died five years later. Tags Allies, Axis, British Royal Navy, Charles de Gaulle, Dindy Hall, Distinguished Service Cross, European Theater, Gaul, Gestapo, Harry S. Truman, Important Woman in World War 2, King George VI, medal of honor, Militia, Nazi Party, Normandy, north africa, special operations, the Cotentin Peninsula, the Limping Lady, Virginia Hall.